Makeup artists and beauty vloggers are very specific when it comes to the camera they use, and for a good reason. We have worked really hard to find and review the 5 best beauty video cameras for makeup tutorials. If you simply get a clear idea of your budget and any specific needs you may have, and then choose one based on the recommendations we have made, you will be good to go and start recording some great makeup content in no time. 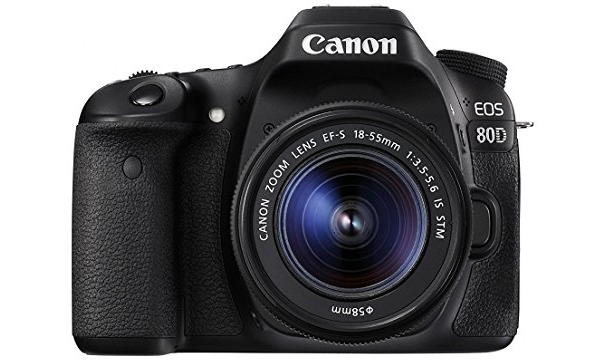 The Canon EOS 70D has been the most popular choice of makeup artists for a long time now, but now we have the EOS 80D. And to everyone’s surprise, it managed to come with some significant improvements over what was already being offered with the 70D. It wouldn’t be wrong to say that the best just got better! First of all, the dual pixel autofocus system. It’s the best thing a YouTube video camera can come with (especially for someone like a makeup artist), and the EOS 70D had a great dual pixel autofocus system. However, the EOS 80D managed to improve it even further, which is truly incredible. The 80D’s autofocus is faster and more accurate, which makeup artists will really be pleased with. We definitely wouldn’t be wrong if we say that you cannot find a camera with a faster autofocus system than the 80D, unless perhaps if you’re willing to spend well over a couple grands. Supporting the amazing autofocus system is a surprisingly responsive touchscreen LCD. Again, it seemed like the 70D didn’t leave much to be desired on this front, but like with most other features, the 80D somehow managed to take it to the next level with this feature as well. This makes it great for makeup artists to do some great focus pulls. There have been customers saying how it helps them record their own professional quality videos without any professional help. The 80D’s LCD screen is also articulating, and it would be a breeze to switch angles when recording videos. The LCD screen is also much bigger than what you would get with most other video cameras in this price range. Then there’s the headphone jack. The 70D didn’t had it but the 80D does come with one. Now, it might not seem like a big deal, but you would be surprised how much of a difference it makes to the audio of your videos. It would really go a long way in achieving a consistently good audio quality, something that’s one of the most important aspects of recording professional quality makeup videos. Finally, the only one thing you could say that the 80D is missing is 4K recording. However, at this price point, you can’t really complain, especially given all the other features you’re getting. And 4K recording is far from a very important feature for makeup videos anyway, so you will likely just be fine with the great 1080P quality that the EOS 80D delivers. If you’re a new makeup artist and looking for a budget option that offers a fairly good video performance and is easy to use, then it may very well turn out to be your best bet. 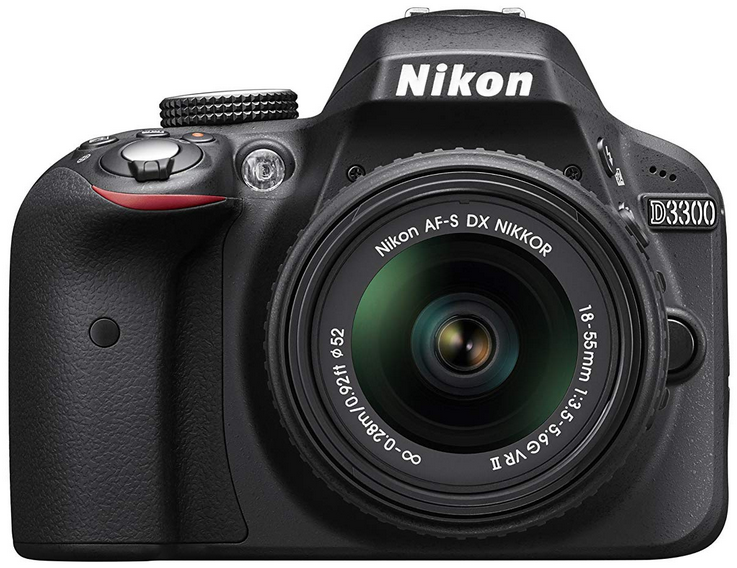 Even if you have never used a DSLR before, you will likely be able to use the D3300 right out of the box. It’s really that easy to use. That’s not saying there’s nothing advanced about it, though. It comes with a fair few advanced features as well and once you get used to it, you will certainly appreciate what it offers for the price. The audio is crisp and clear, which is great as it isn’t exactly guaranteed at this price point. The D3300 also comes with mic input for video, which would turn out to be a very useful feature when recording makeup tutorials. It has both manual and automatic settings, meaning that regardless of whether you’re a beginner or a pro, the D3300 would have you covered. The automatic settings would make things so much easier for the beginners. There’s also a Guide mode specifically designed to help beginners, and oh boy does it do a great job at that. If you’re a beginner, you would feel like there’s an expert helping you with pretty much everything that you can’t understand, without you having to figure it out on your own. It’s also compact and lightweight, so if you plan to live the digital nomad lifestyle while recording makeup artists, it would be right up your alley. There are also other useful features like different shooting modes, and the camera itself is very durable and well-built. You obviously don’t get 4K vlogging quality with the D3300, but the 1080P recording performance is good for the price. On the downside, you don’t get an articulating LCD, the viewfinder isn’t spectacular, manual focusing can sometimes be a bit off, and the connectivity options are limited. Overall, it’s an makeup photography camera to take makeup pictures. It’s also a great live streaming camera. We reviewed the Canon EOS 80D as our best camera for makeup artists, but we also talked about how popular the EOS 70D is. Well, despite the 80D being an upgrade and offering some new features, the 70D continues to be a popular choice among beauty vloggers. Needless to say, it HAS to be on our list, as it’s a genuinely good camera although you now also have the 80D as a choice for a few more bucks. However, let us get this out right away: If you’re a one-woman (or man) team, don’t want to use expensive videography equipment, shoot a lot of great quality content fast, and can live without 4K recording, you CAN’T go wrong with the EOS 70D. Like the 80D, two of the greatest features of the 70D are the articulating LCD screen and the great dual pixel autofocus system. They ensure that you can keep switching the angle as you like without letting the video quality suffer one bit, as well as have the focus to be consistent throughout the video no matter the kind of movements the subjects have in the video. The articulating screen allows you to click on it to quickly set the focus to a particular element, and you can do the same for adjusting properties. Talk about the ease of use while getting professional quality recording. And while we are at the ease of use, let us also tell you that despite the professional quality video recording functionalities, the menus are surprisingly easy to navigate. 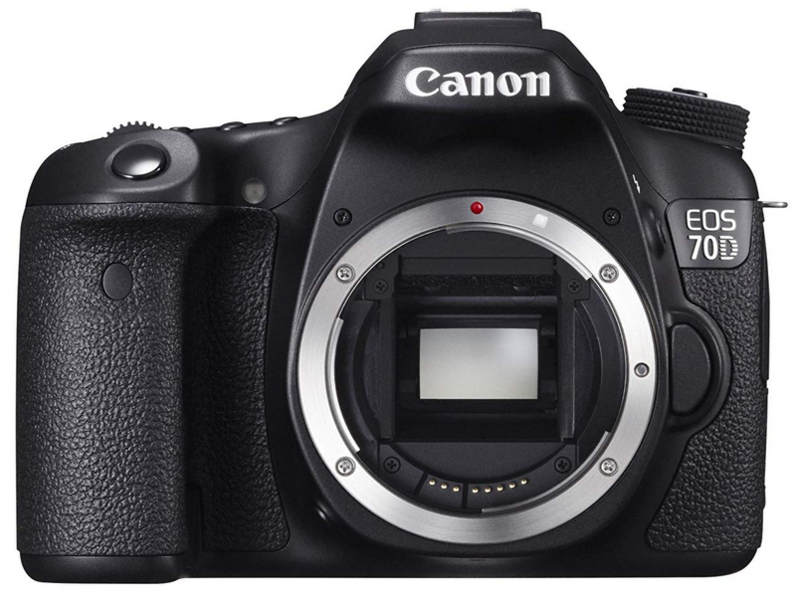 If you’re a beginner and looking to kickstart your beauty vlogging career without settling for mediocre performance, the Canon EOS 70D is likely what you’re looking for. Makeup artists will also be glad to know that the facial focus in particular works great with the 70D. No wonder so many popular beauty vloggers use this little beast to record great videos for their successful makeup channels. The 70D shoots at 24p, which isn’t half bad at this price. Coming to the sound quality, you would need to get an on-camera mic, preferably a powered one to eliminate any hissing. Get a high-quality mic and you will be golden. Finally, as you can probably guess, you won’t get 4K recording with the 70D, but that shouldn’t bother most beauty vloggers. Let us tell you right off the bat that not everyone will be able to afford the Canon EOS 5D Mark IV. However, if budget isn’t an issue for you at all, then the 5D Mark IV is as good a video camera as it can get for makeup artists, and pretty much all the other types of vloggers for that matter. After all, there’s a reason some of the most successful beauty vloggers choose the 5D Mark IV as their camera. One of the best things about this video beast is its continuous shooting speed of seven frames per second. Backed by the surprisingly fast processor and the huge buffer, it would make a great deal of difference to the quality of your video content. Sure, it isn’t something beauty vloggers wouldn’t be able to live without, but if you compare the video it delivers to a video recorded using a cheaper video camera, the difference would be very noticeable. Another extremely important feature for makeup artists – the focus – is one of the most highlighting features of the EOS 5D Mark IV. While it comes with the same AF and cross-type system as the Mark III, it has the expanded vertical coverage that the latter doesn’t. Some makeup artists would find the extra coverage very useful. However, it’s actually the 61-point advanced Autofocus system that we are a BIG fan of. it’s amazingly fast and there’s a lot you can do with it. The focus is also surprisingly good in low light conditions as well, which is very hard to come by. The focus points also show themselves in red, eliminating the possibility of losing the focus, which takes so much challenge out of your job when you’re shooting videos with fast-moving elements. Switching focus quickly is not a problem at all either, and the intelligent tracking is as intelligent as it can probably get. In other words, it would never lose track of its subject. The focus is also just as fast and impressive even in live view. The AF algorithm is fantastic, too, as it can track not only faces, but also other objects like the subject’s shoe if you want it to. Finally, the dual pixel AF system would turn out to be super useful for all types of beauty vloggers, and you would be able to use it even in live view. Honestly, we can go on and on about the seemingly never-ending list of features that are packed in the fairly compact body of the Canon EOS 5D Mark IV. As we said before, if you’re after the best high-end option for recording your makeup videos, then this Canon masterpiece certainly wouldn’t disappoint in the slightest. The Canon PowerShot G7 X Mark II is another great camera for makeup artists that doesn’t cost a bomb. Sure, it wouldn’t produce the kind of video content the high-end 5D Mark IV would, but it would be a great choice for producing a lot of great video content on a budget. Despite the price point, the G7 X Mark II is hardly limited in any of its important video-shooting capabilities. It shoots 1080P videos at 60P, which come out better than you would expect at this price point. Its 3” LCD touchscreen is both large and responsive enough to help you record high-quality videos quickly and easily, with the front dial being pretty easy to use as well. It also supports continuous shooting at 8fps, which is again pretty nice to have in this price range. The availability of both automatic and manual settings – and a lot of them – ensures that no matter the type of settings you like to use, you wouldn’t have any problem in getting used to the G7 X Mark II. Another area where it really shines is shooting in low light conditions. This is something where even much pricier cameras fail to impress, but surprisingly this camera records great videos in low light conditions as well. 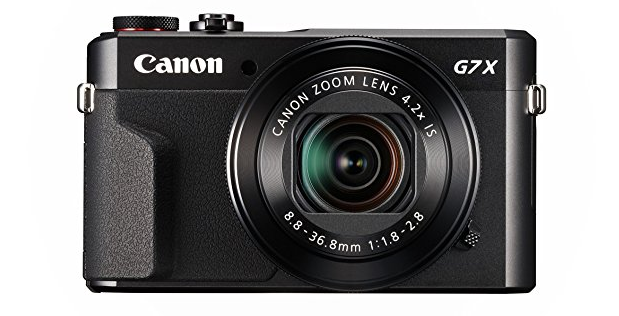 To top it all off, the G7 X Mark II is so compact that it can easily fit in your pocket. So if you’re a makeup artist that like to record your videos on the go – without breaking the bank – then the G7 X Mark II may be a perfect option for you. As for the downside, the manual focus isn’t impressive. There also isn’t a viewfinder, although you can find it in many cameras in this price range as well. One of the most important features is going to be the AF or autofocus system. Focusing on the right subjects or elements can make all the difference to your video. If the autofocus is fast and accurate, it would make recording professional quality makeup tutorials a breeze for YouTubers and makeup artists. The quality of the LCD screen shouldn’t be ignored as well. If you’re an experienced makeup artist with a channel that’s already well-established, you would want to stick to a camera that comes with a responsive touchscreen LCD screen. It should preferably be an articulating screen, as that would make it a lot easier for you to set the focus quickly and record better quality videos. The ability to record 1080P videos at 60P can be a great feature to have as well. Of course, if your budget doesn’t allow, you may have to set for a lower quality of 1080P. The audio quality can be just as important. While the availability of a headphone jack or even an on-camera mic can be great, it shouldn’t be much of a problem if they aren’t available given the audio quality is still decent. The low light shooting conditions are also important, even if you’re only going to shoot indoor. As we said above, there should be no loss of detail or a lot of noise in the videos if you’re shooting makeup content, but these things are common with cheaper cameras when shooting in low light conditions. We hope you now know exactly which one of these 5 best cameras for makeup artists you should be going with. We know it can be confusing even if you’re made to choose from only 5 different options, so we also gave specific advice when reviewing each one of them about who should consider going for that particular camera. But to summarize, the Canon EOS 80D is a great and latest option that should work great for most people in the beauty industry. It offers a great bang for your buck. The Nikon D3300 isn’t the most impressive option, but it’s perfect for new beauty vloggers that want to start on a budget. The Canon EOS 70D, however, is a very popular choice of beauty vloggers, and a great choice for all types of makeup artists with a budget of less than $1000. 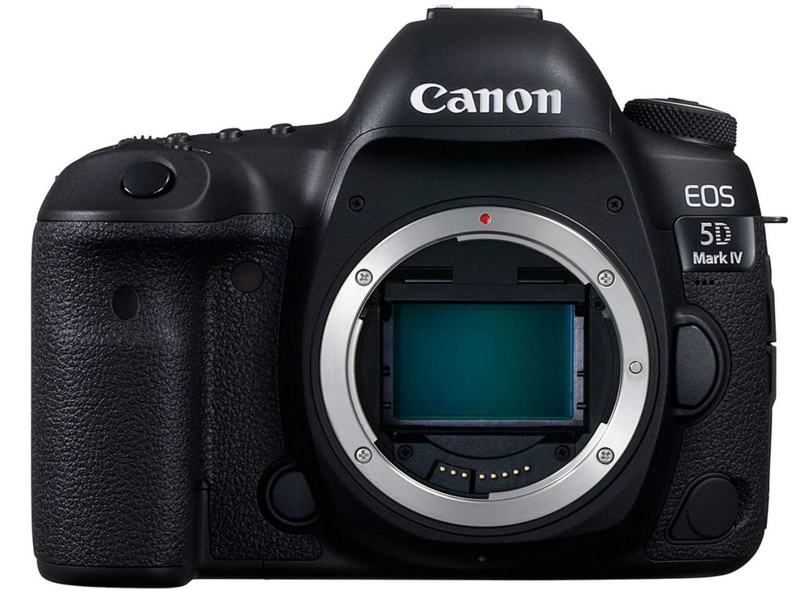 Of course, the Canon EOS 5D Mark IV is very different. It allows you to record some of the best beauty content you can find out there, but it does cost a pretty penny. The Canon PowerShot G7 X Mark II, on the other hand, is a surprisingly good budget option, barring a few downsides. It allows you to produce a lot of video content very quickly without compromising on the quality, and offers impressive features for its price. Now, go out there and become a famous YouTuber!